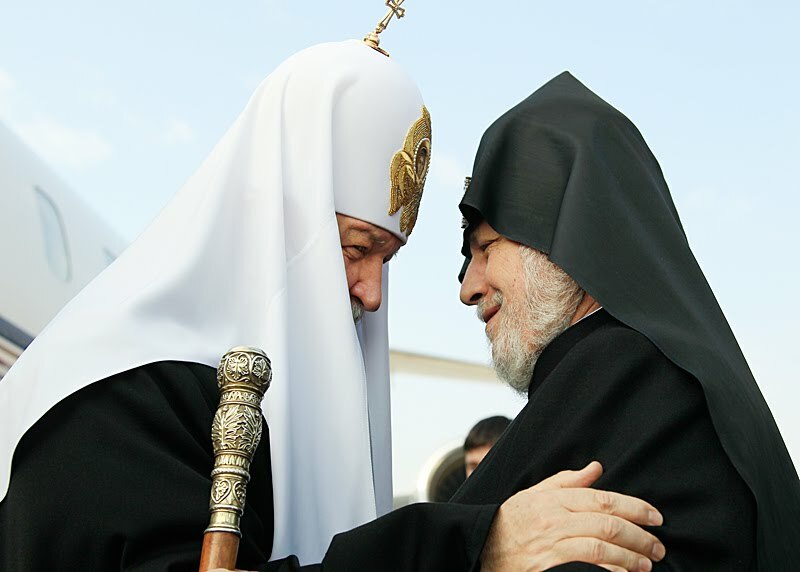 Patriarch Kirill (Gundyayev) of Moscow has completed his second visit to Armenia as head of the Russian Orthodox Church. During his time in Armenia Patriarch Kirill met with Catholicos-Patriarch Karekin II (Nersessian) of the Armenian Orthodox Church and Armenian President Serzh Sargsian. He also participated in meetings with other Transcaucasian religious leaders and in a session of the Interreligious Council of the Commonwealth of Independent States. More here and here. His first visit to Armenia was in June. Sorry, not in June but in March 2010. Thanks for the correction! I think I posted on his first visit too - silly of me to forget :-).